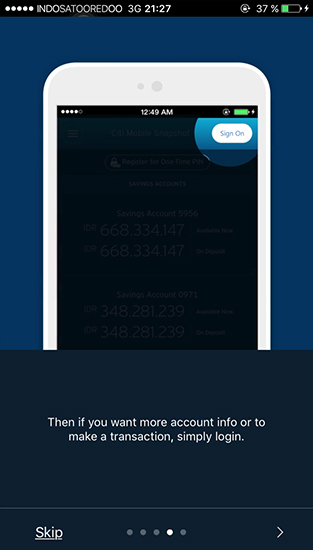 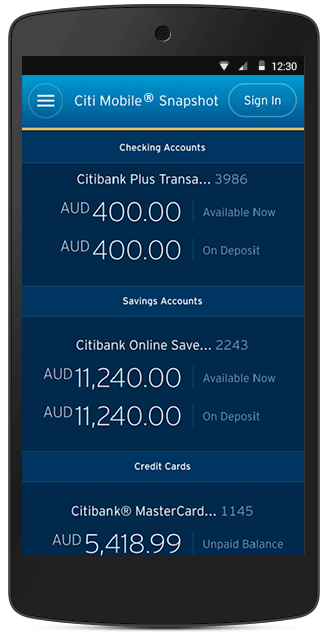 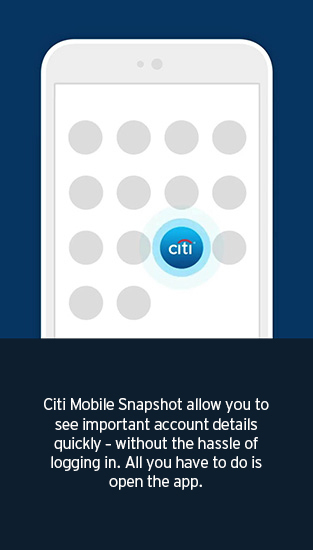 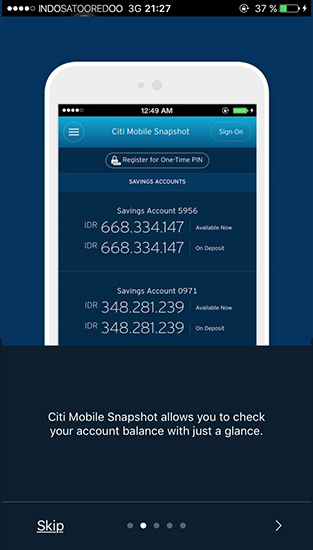 Download or update the Citi Mobile banking app and start M Banking today. 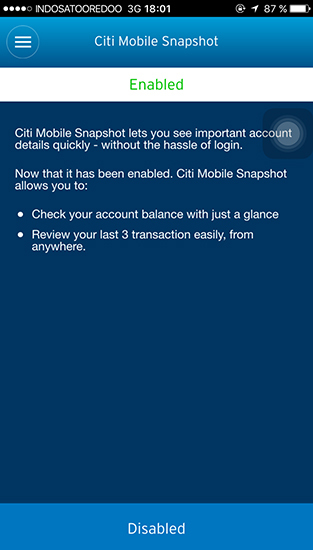 Check your balance and last 3 transactions without having to sign on. 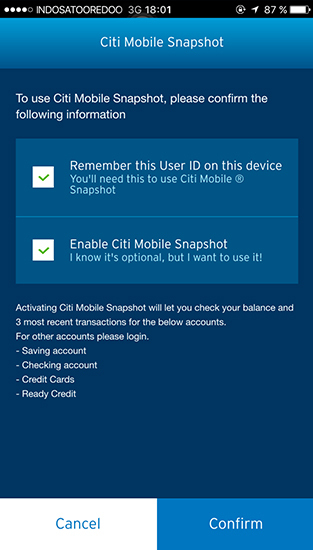 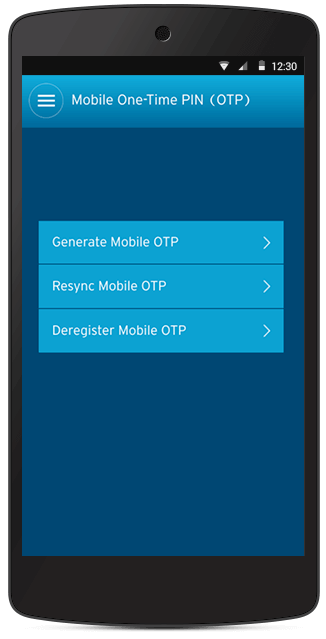 Activate your Citi Credit Card, Citibank Debit Card and Citibank Ready Credit through Citi Mobile in 3 easy steps. 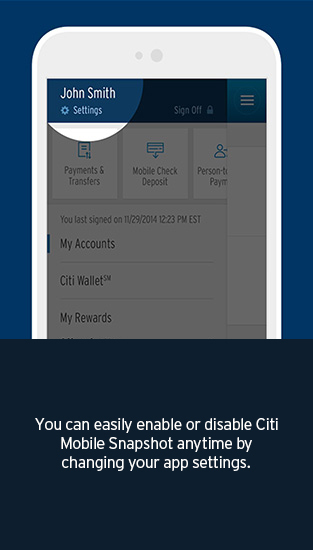 You can now change your Citibank Credit, Debit and Ready Credit Card PIN wherever and whenever you need to. 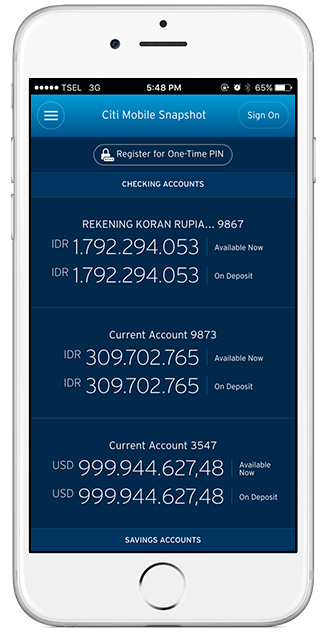 Now transfer funds to any international bank account anytime, anywhere. 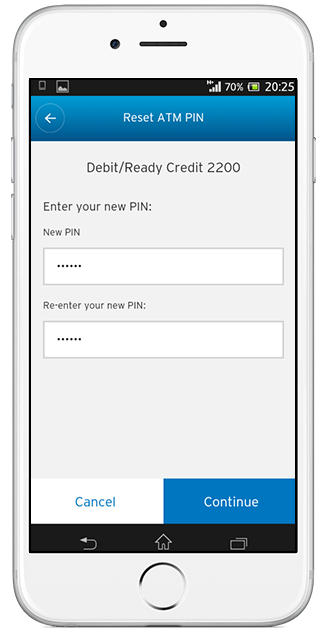 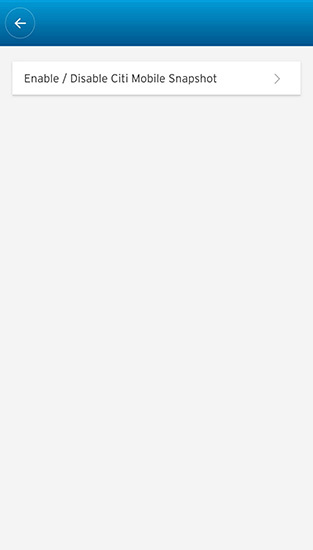 It’s easy to register for Online Banking. 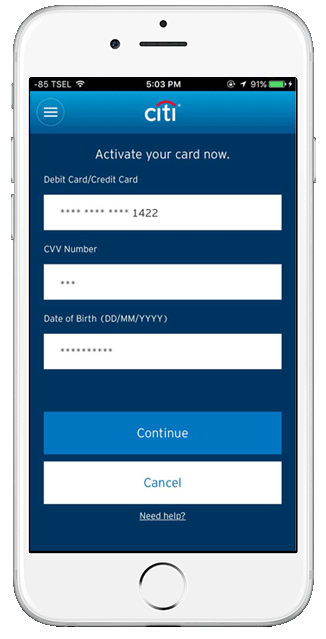 All you need are your card details and date of birth. 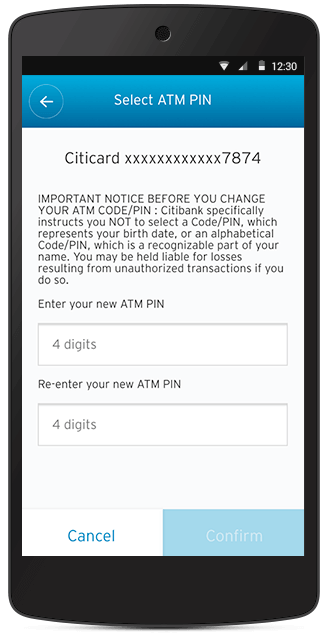 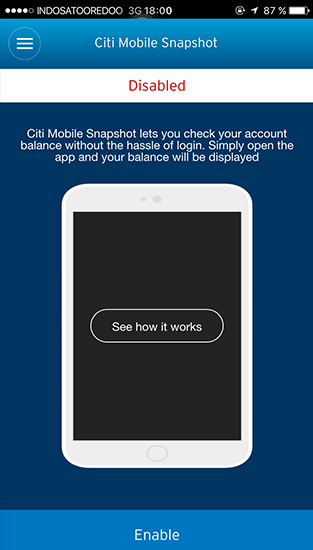 Citi Mobile App provides a convenient way to take care everyday banking, locate nearby ATMs and/or branches, view FX rates and generate a One-Time PIN.